Is anyone familiar with this mark or style. Thank you. 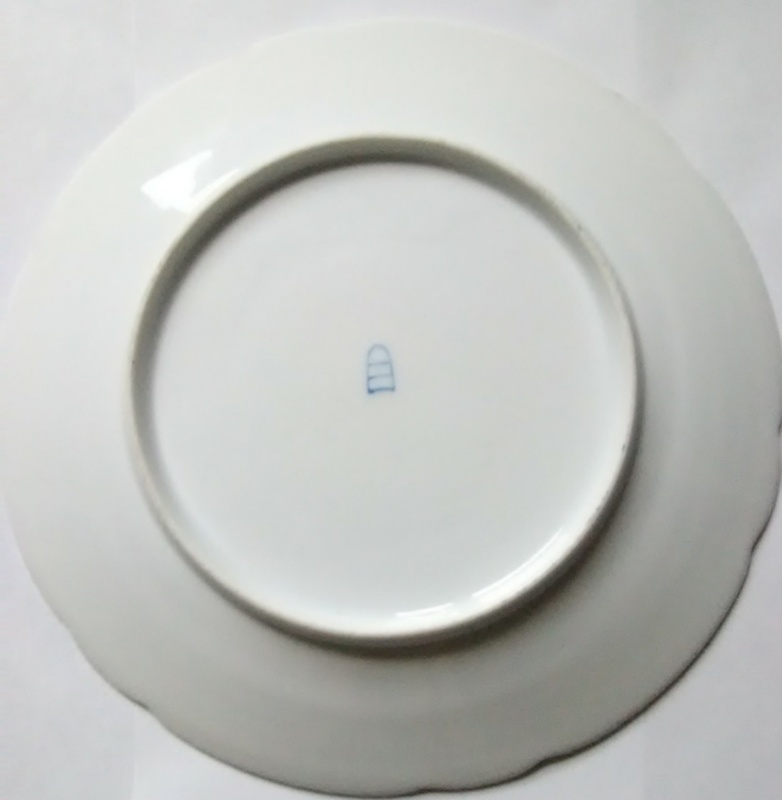 I may be incorrect, but I think your plate is what is called ‘Royal Vienna’. 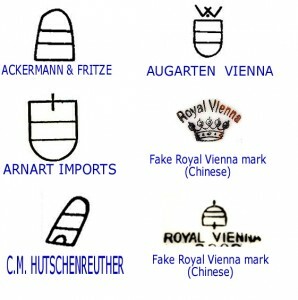 The mark is mistakenly called a ‘Beehive’, but is actually a stylized version of a shield called the bindenschild (the coat-of-arms for the Austrian Hapsburg family) It is one of the most copied marks. Ackermann & Fritze (Volkstedt, Germany) ca 1908 – 1951. And see included picture from that site. 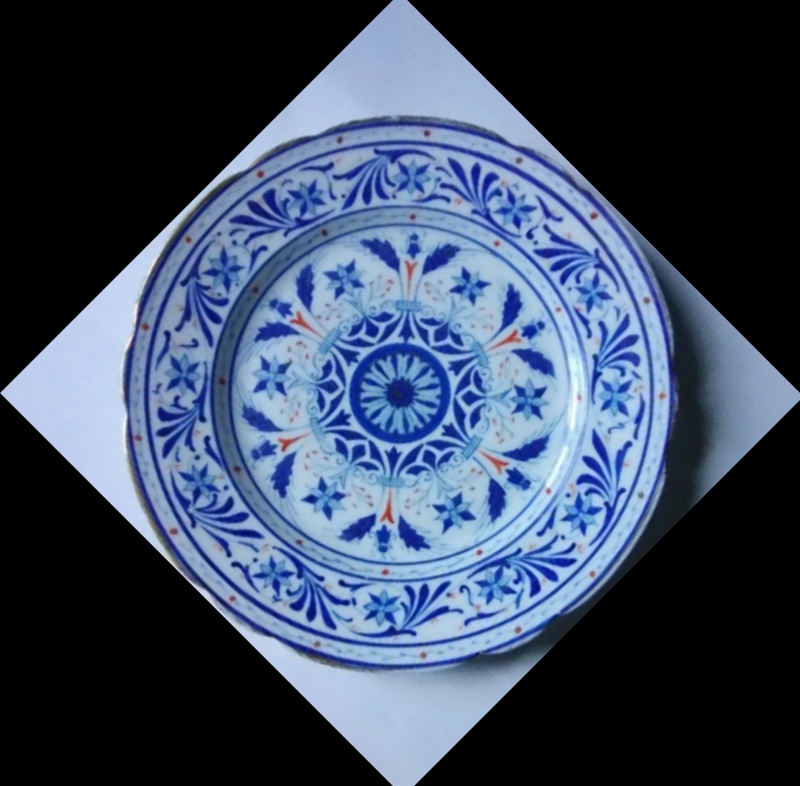 According to the Kovel's Dictionary of Marks on pottery and porcelain, the Edmé Samson firm of Paris (1845-1905) also reproduced this mark. Thank you both so much. I apologize for posting this in the forum. I thought I was an Asian piece.